As Liverpool prepare to face Red Star Belgrade in the Champions League, we are reminded of a significant past meeting between the pair. The Reds host their Serbian opponents on Wednesday evening, looking to bounce back from their disappointing late defeat to Napoli last time out in Europe. Jurgen Klopp‘s side are still well-set in Group C, although failure to earn six points from back-to-back meetings with Red Star would alter that. With the midweek clash looming, we have taken a trip down memory lane to a meeting that took place 45 years ago—one that would help shape Liverpool’s all-conquering approach in Europe. Back in November 1973, Bill Shankly’s legendary spell as Reds manager was still going strong. 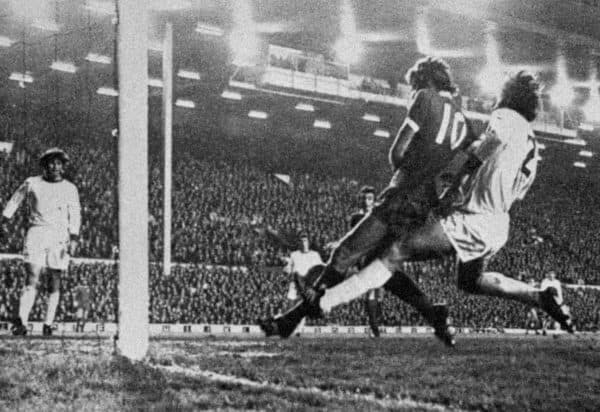 Liverpool were the reigning First Division champions and the UEFA Cup triumph had been the icing on the cake in a memorable 1972/73 campaign, in which they defeated Borussia Monchengladbach in the two-legged final. Now back in the European Cup and dining with the best the continent had to offer, confidence was high that they could go far in Europe’s most prestigious competition. A 3-1 aggregate triumph over Jeunesse Esch, a side from Esch-sur-Alzette in Luxembourg, saw the first round hurdled without any drama. It was Red Star who stood before them in round two—a team who had been eliminated in the UEFA Cup third round the previous year—and Shankly didn’t expect anything other than progression from his side. The two legs that followed proved to be a turning point in Liverpool’s great history, however, as they were comprehensively outplayed home and away. Red Star prevailed 2-1 in both legs, with their technical expertise often making them look like they were playing in a different era. In the second leg at Anfield, Slobodan Jankovic’s stoppage-time goal proved to be the final nail in Liverpool’s coffin, even though Chris Lawler’s late effort had given the hosts some hope. “I have always thought it was a big moment. We thought we would beat them. Shankly built us up beforehand, although he did that every game to be honest. “We always played as though we were trying to win 6-0 but, in Europe, we didn’t know the teams. There was no TV obviously where you would see clips of the opposition. “So we just tried to score as many as we could and I think over the years we learnt our lesson. We needed to be more cautious and have a more patient style. Red Star were famously applauded off the pitch by the Liverpool supporters, an ultimate sign of respect, and there was a feeling that things needed to change in Europe. Former Reds legend Tommy Smith claimed that Red Star’s defenders “were as comfortable on the ball as the most creative midfield players,” and, ironically, his more no-nonsense style would swiftly make way for Phil Thompson—famed for being a better ball-playing centre-back. It was an evening when Liverpool’s entire outlook on European football changed for the better, shaping the remarkable success that soon followed. Shankly’s spell in charge came to a sad end in 1974, with the Scot later accepting that things needed to change on the pitch at that point. “The Europeans showed that building from the back is the only way to play. When they play the ball from the back they play in little groups. The pattern of the opposition changes as they change,” Shankly said. “This leaves room for players like Ray Kennedy and Terry McDermott, who both played for Liverpool after I left, to sneak in for the final pass. It was left to Bob Paisley to take over the reigns and implement that European style—and he reaped the rewards once his team had fully adjusted to it. 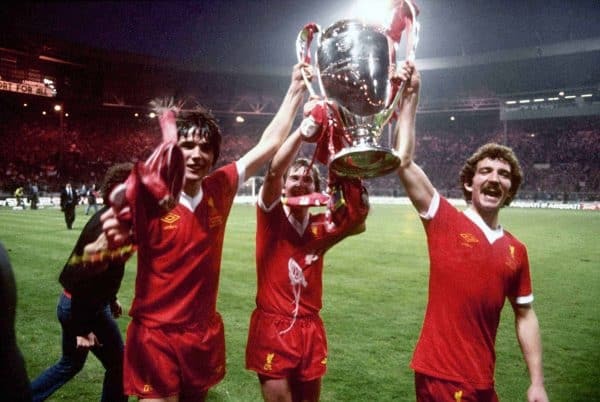 In their first season back in the European Cup since that Red Star defeat—they won the 1976 UEFA Cup in the meantime—Liverpool went all the way, again getting the better of Monchengladbach in a final. 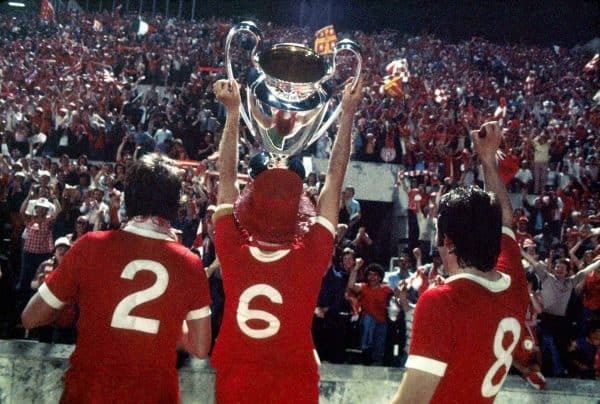 Twelve months later, the Reds were the cream of the European crop again, with Kenny Dalglish’s opening season culminating in him scoring the winner against Club Brugge at Wembley. Paisley got his hands on European Cup number three after seeing off Real Madrid in 1981, before it was Joe Fagan’s turn to triumph three years later, after a penalty shootout win over Roma. Without that one-sided loss to Red Star, and the realisation that it created, you wonder if Liverpool’s history would have looked very different. Both Shankly and Paisley were humble and intelligent enough to realise that you could learn from opponents – and that approach paid dividends. It was the bootroom philosophy in action. That aesthetically pleasing style of play is something that has become a symbolisation of Liverpool for 40 years now, with Jurgen Klopp now flying the flag in admirable fashion. Liverpool have a lot to thank Wednesday’s opponents for.